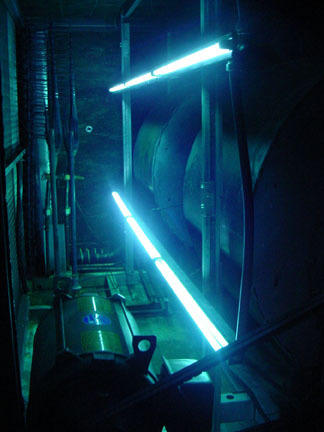 SANTA CLARITA, CALIF. (MAY 9, 2013) — The High-Output DEF (Double Ended Fixture) ultraviolet lamp series from UV Resources can be easily installed anywhere in most any HVAC system to destroy coil/drain pan microbial infestations and disinfect moving air streams. The High-Output DEF series is designed to provide up to twice the ultraviolet irradiation to kill and/or degrade the toughest microorganisms and organic matter, whether surface or airborne, in the most challenging applications at up to half the cost of similar products. The High-Output series features a 120-277V waterproof ballast design, stainless steel construction and built-in weep holes to withstand the harshest commercial or industrial HVAC environments. Power supplies and lamps are electronically matched to provide the highest output while maintaining the longest life expectancy. Available in 22-inch and 34-inch versions, the DEF series offers plug-n-play wiring (not shown) so that installers can easily wire multiple rows, fixture-to-fixture, to fit within most any plenum or target surface area. Often, fewer of these higher output devices can be used to save space, installation labor and lamp replacement costs. DEF fixtures perform extremely well in surface irradiation applications to quickly return coil heat transfer efficiency, eliminate coil cleaning and maintenance, and improve air quality. Also offered in a Standard-Output configuration, the DEF fixtures come with a three-year warranty and offer typical paybacks in under six months. 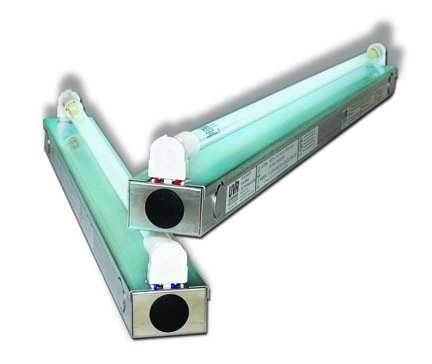 The High-Output DEF (Double Ended Fixture) ultraviolet lamp series from UV Resources can be easily installed anywhere in most any HVAC system to keep coils, pans, and airstreams clean and disinfected. Features include all stainless steel construction; a waterproof ballast; built-in weep holes; and Plug-and-Play (not shown) connections. Available in 22-in or 34-in lengths, each with 120-277 Vac capability and lamps that are electronically matched. Fixtures are UL Listed and carry a three-year warranty and a one-year warranty on lamps. 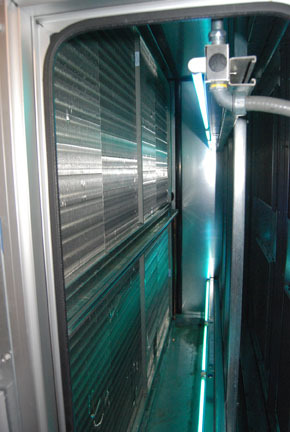 For more information, call 877-UV4-HVAC (884-4822); or visit www.UVResources.com. 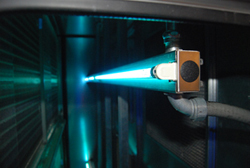 UV Resources is a leader in the education, design and innovative engineering of ultraviolet-C equipment for a variety of commercial, healthcare, government and residential HVACR applications. In addition to developing new and unique UV products for specific applications, UVR team members were among the first to develop modern sizing and efficacy software for air conveyance systems and consult with both OEM and government-sponsored, UV-related entities. UVR is an active member of ASHRAE, the Illumination Engineering Society (IES), and the International Ultraviolet Association (IUVA). For more information, call 877-UV4-HVAC (884-4822); or visit www.UVResources.com. To download a hi-res image file, click on the desired file name and a zip archive automatically downloads to your computer. Due to how various browers handle downloads, you may have to expand the zip archive manually. The zip archive expands into a .tif file.